Product overview by Vlad Catrinescu – requested by Valo Intranet, but thoughts are my own. 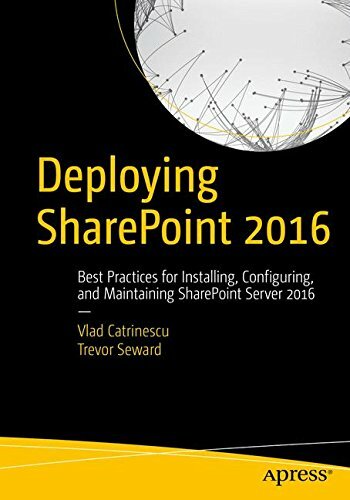 SharePoint Server is one of the best, and arguably the most popular platform for Enterprise Intranets in the world. 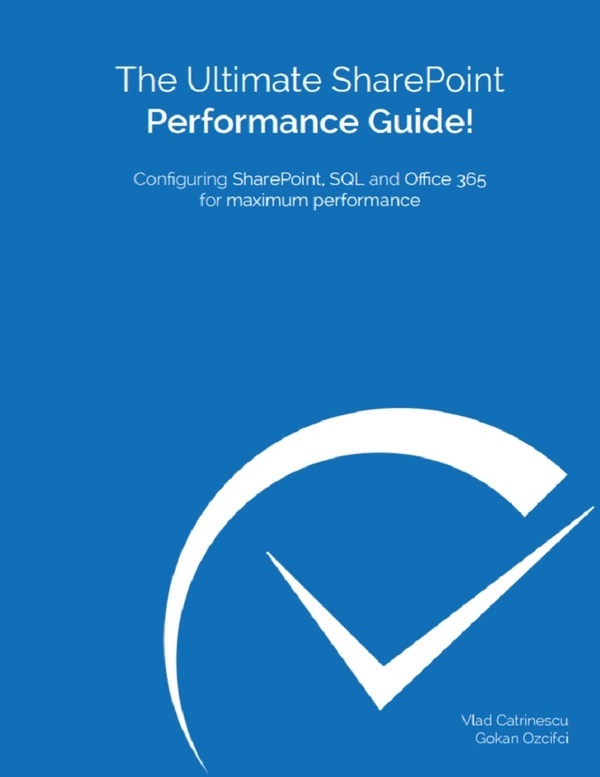 According to the popular and respected Nielsen Norman Group, 9/10 of the best Intranets in the world of 2016 were hosted on the SharePoint platform, and 5/10 of the top Intranets in 2017 also use SharePoint. However, there is a big problem that companies are facing with building an amazing Intranet: The time it takes to build it as well as the number of resources. The average team size to create an award-winning Intranet in 2016 was 14 people, and it took them an average of 16 months building their Intranet. 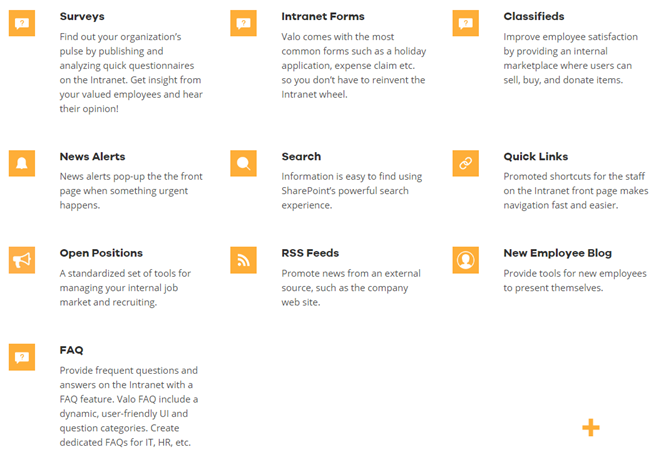 Valo Intranet has more than 300,000 daily users and 150+ happy customers worldwide. Our dedicated development team works hard with an exciting roadmap – new releases and add-ons coming in every 3 months! 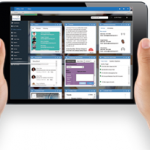 Valo Intranet is easy-to-use, mobile-friendly, and technically strong – a flexible solution for the changing world. 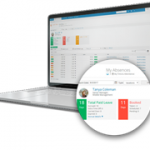 Valo is the last intranet you’ll need. 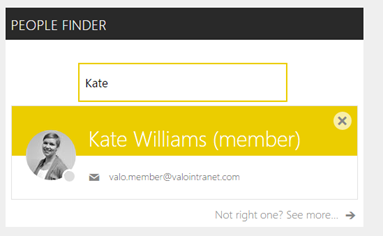 The review of Valo Intranet will be done in a SharePoint Online environment provided by Valo, and pre-populated with some data. 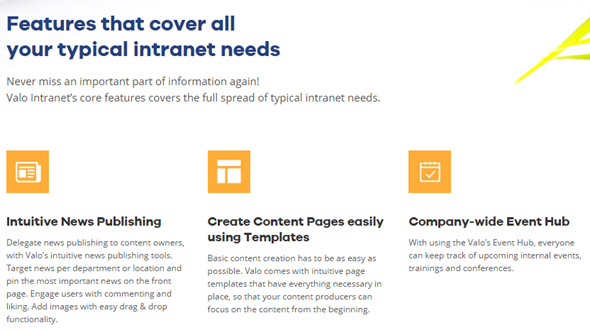 Valo Intranet contains multiple features to create a modern Intranet easily, as well as multiple templates and functionalities to make Intranet creation easy. You can see some of those features in the picture below. There are also multiple add-ons that you can add, depending of what specific features you want to use on your Intranet, and one that is not on the picture below is Idea Management. We will review some of those Add-ons as part of this review. Something that I find really good, especially being from a bilingual country, is that Valo Intranet supports 14 languages, including French, Spanish and German, which are the most popular I’ve seen when deploying SharePoint at my clients. 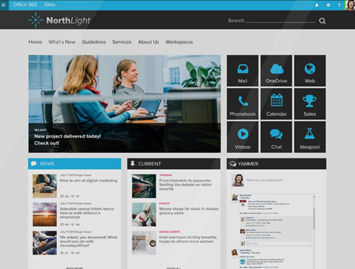 On the design aspect, Valo does look like a beautiful intranet, the responsive design scales well from the big screen to the small mobile device and user experience is still awesome on the small screen. Let’s take a look at some of the features, or widgets that you can add to your page more in detail. First of all, the News Carrousel seen below displays news to users visiting the Intranet, and it’s possible to target the news to certain users according to some criteria’s. Directly in the carousel, we can see date it was published, the number of comments on that news as well as how many likes it received. 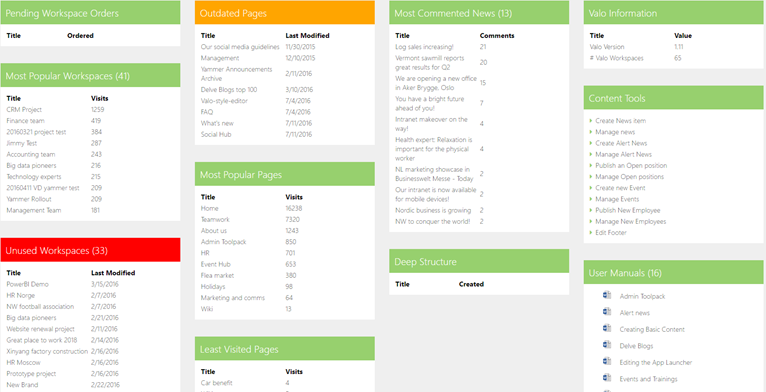 The information for the news carrousel is actually created in a SharePoint blog, and brought into the more “presentable” format with the Valo customizations. Users can comment and like the blog post. 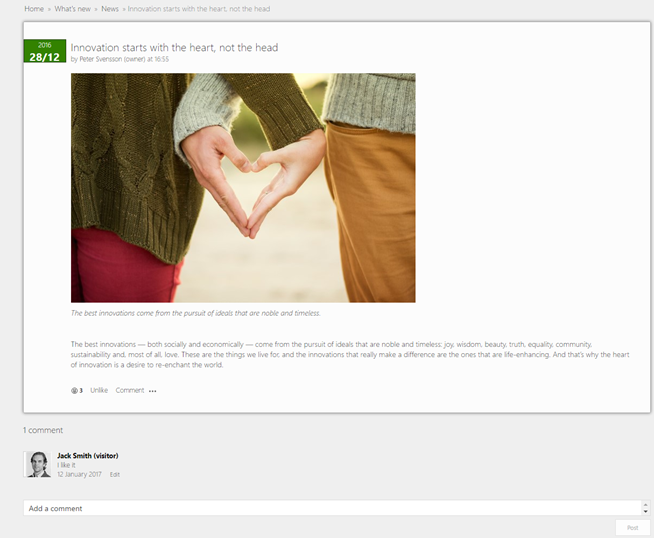 Similar to out of the box SharePoint blogs, you cannot have threaded comments, or like a comment. 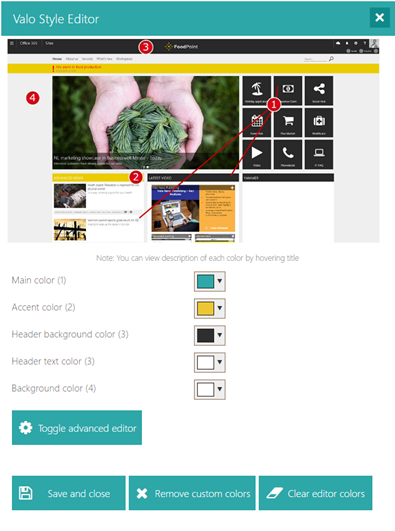 I like the idea of using almost native Blogs to display news, because it makes a lot easier for content publishers to create content, since most of them already know how SharePoint blogs work. Next up, the Quick Links. The Quick Links do look beautiful, they have small animations when you go over them as well as a description, similar to the Out of the box Promoted Links Web part but way better. Another feature offered by Valo Intranet is “Surveys”. I am a big fan of using Surveys or Polls on Intranets to get the first-hand feeling of employees on different matters, so I was really happy to see that Valo included a nice widget pictured below for surveys. Something to be aware is that by default, when creating the survey, if you do not modify anything, every user will be able to go to the list, and view what others have answered, since every vote is an item in a list. This might cause problems for polls that are more important, such as employee of the month! However, there is an option that you can change in the List Settings, so users can only see and Edit items that they created, this way they will not be able to see what other users have voted. I think it should be set with the settings below by default in order to avoid any case where the survey creator forgets to change the default settings. Up next, the People Finder widget is a really cool small widget that you can put directly on home page of your Intranet, to allow people to easily find users by searching either names, or phone numbers. The widget can display only one person as seen in the screenshot below, or it can be configured to show more. 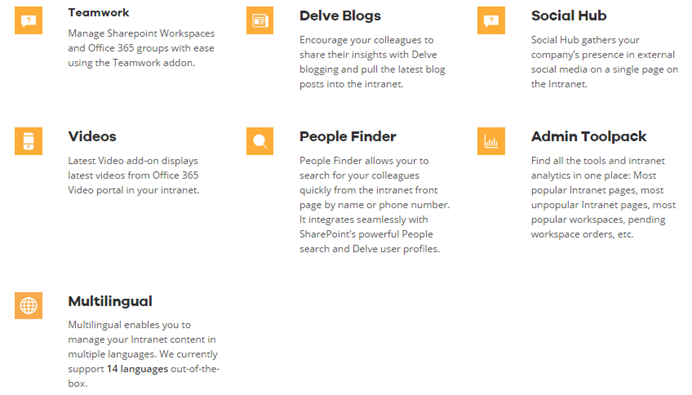 You can click the “See More” button, which will go to the classic SharePoint People Search page. I like this widget a lot, the only improvement I would have loved was if Valo would have implemented a custom display template or something that looks nicer when clicking the “See More” link, but we’ll maybe get this in a future version. Other cool widgets include multiple ways of bringing content from other sources, and displaying them beautifully in your Intranet. 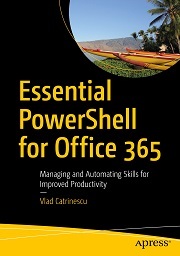 Below you can see a RSS Web part, which you can configure with any RSS Feed, a Video Web Part that connects directly to Office 365 video, an Events Web Part that connects to a calendar, and a Blogs web part that displays Delve blogs. Valo also integrates Yammer in your Intranet by allowing you to comment, like and post in your Yammer network feed directly from the Intranet, as well as a widget that displays praises. Valo Intranet also allows you to display activity of your company in Social Media with the Social Hub, a group of Widgets that display content from Twitter, Instagram, YouTube, Pinterest, Facebook, and etc. Intranet Administrators also have access to a page called the Administrator Toolpack. The Administrator Toolpack is a really cool page which allows your Intranet’s administrators to view information on the Most Popular content in your site, as well as content which is not used or might be outdated. 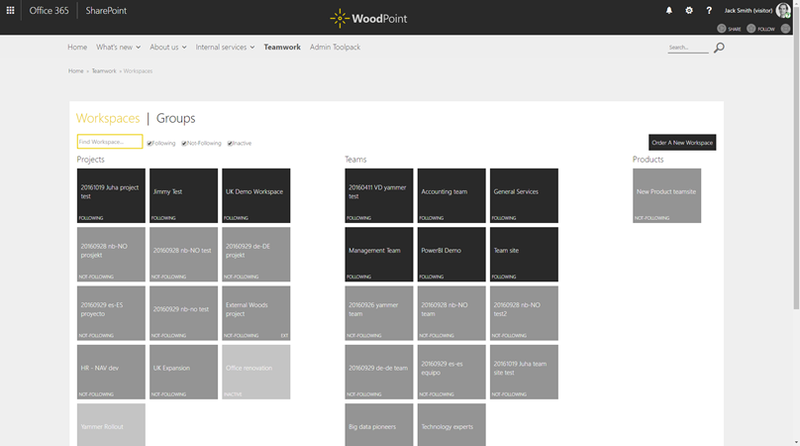 Lastly the Workspaces in Valo Intranet allow a user to easily access all the SharePoint Team sites or Office 365 Groups they are a part of, and there are two main types of workspaces: Projects and Teams. The list can be customized according to customer requirements. 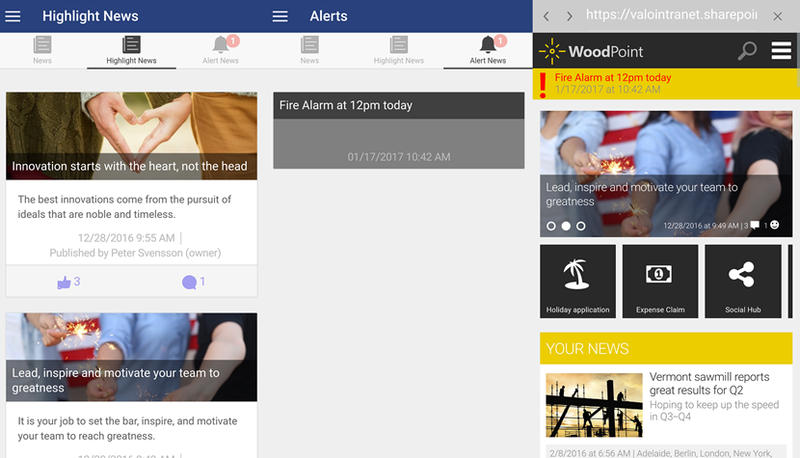 Valo also offers a mobile app for both Android and iOS which allows users to browse their Intranet on the go. You have three main tabs where you can see the Highlight news, all the News and lastly the Alert News. You can also click a single button and go to your Intranet page and browse it from your mobile device. Something that I wish the app had is a Pin/Password when opening the app since Intranets contain a lot of information about the company if ever the phone is lost / stolen. That’s it for the review as a user, now let’s take a quick look of the experience to customize Valo. Something I realized very fast is that while Valo is awesome to use and consume, some webaprts will really need you to read the manual in order to customize them due to the number of available options. On the first picture to the left below you have the parameters required for the advanced news and on the right, the default content to show blog posts. Customizing all the widgets to show the things you want can be quite challenging on a few features. That is not the case for all the available widgets, because some of them are really easy, for example branding your site can easily be done with the Valo Style Editor. Simply choose what colors you want where from the Style Editor, and done! No CSS knowledge needed! 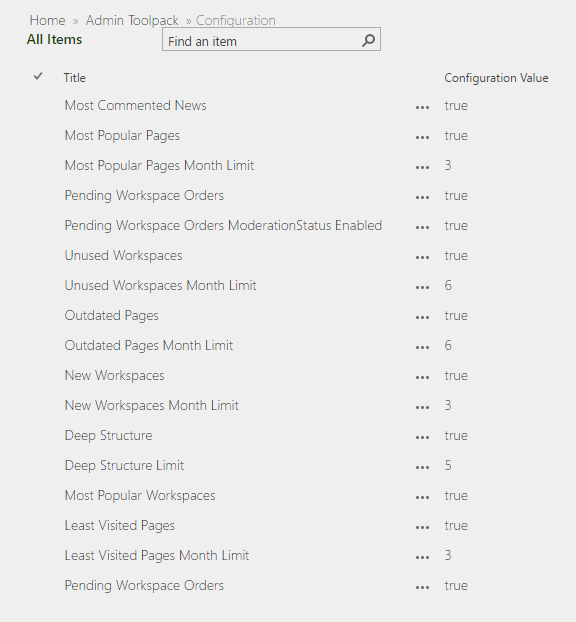 Other features such as the Admin Toolpack that I’ve talked about earlier, is configured from a SharePoint list, and you can easily change the values as your business requirements change. In this blog post we have reviewed Valo, a Ready-To-Go Intranet for SharePoint On-Premises and Office 365. Valo beautifully displays a lot of useful widgets of information on your Intranet and allows you to create a modern, beautiful looking Intranet in a matter of weeks. Throughout the review, I have found most of the widgets very useful and well displayed, but some of them have a lot of options to configure, so you can’t do it without reading the manual. I have loved how well Valo handles the display of information, both on a 4K display as well as on my Android Phone, and I think that the Workspaces and Admin Toolpack features will be very useful for every company that decides to use Valo. Lastly, the fact that Valo Intranet works with 14 languages, and supports multilingual intranet scenarios makes it a good product for global companies, or for companies that are based in a bilingual country. 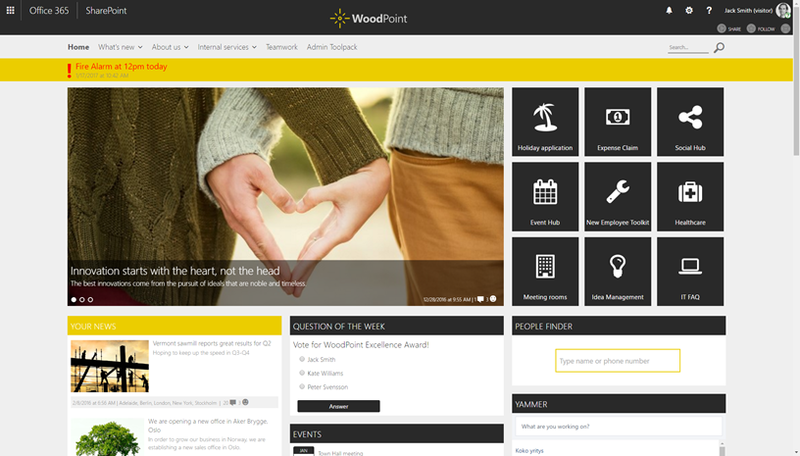 If you are looking for a Ready-To-Go Intranet for SharePoint, definitely check out Valo by clicking on the banner below. 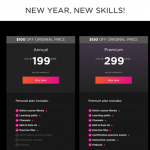 December 28, 2018 New Year – New Skills! Save 33% on Pluralsight Subscriptions!